If you want to take your performance to the next level, the solution is getting one of the best slowpitch softball bats out there. This is not an easy choice to make, which is why we are presenting you with an in-depth buying guide. 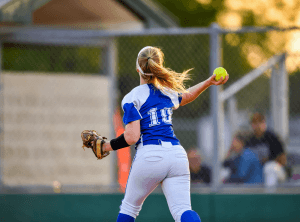 Take a look at the factors you should consider, as well as the list of currently the best value deals for slowpitch bats on the market. Are You Participating in an Official League? If you are a newbie, you may have a problem picking the best bat for your needs because you don’t have enough experience or knowledge on the issue. Let’s take a look at the factors you should consider before heading online and placing an order for the desired bat. If you are only playing with your friends or coworkers, you may neglect this. However, if you are participating in an official competition, it is essential that your bat has the necessary certifications for that league. 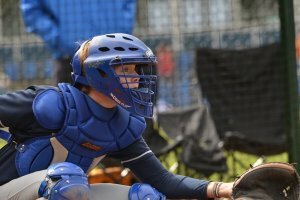 Some of the most popular competitions include ASA, USSSA, NSA, ISA, and ISF. Each of these organizations has different requirements for bats that are allowed to be used in their respective competitions. Find an official rulebook and guidelines and make sure to follow them when you are purchasing the desired bat. In most cases, you can find a stamp of the league on the bat, which will make it easier to ensure that it is suitable for that competition. Make sure to use the same bat during training and official matches for maximum results. The majority of bats have a diameter of around two inches and length of approximately 34 inches. The crucial thing to consider when it comes to the size of your desired bat is weight. The rules indicate that it should be somewhere between 26 and 30 ounces. There is no precise rule that you should follow when choosing between these limits. The only thing to ensure is that you feel comfortable with the bat. 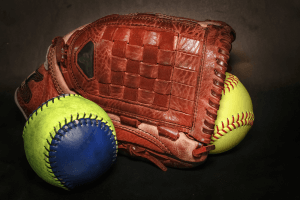 If you are lightweight, the general rule of thumb is to go with a light bat, and if you feel like you have the necessary hitting power and swinging strength to handle a heavy bat, go with it. At the end of the day, it only depends on your preference. Keep in mind that light bats do not require a lot of force for swinging, but their natural pop is limited. 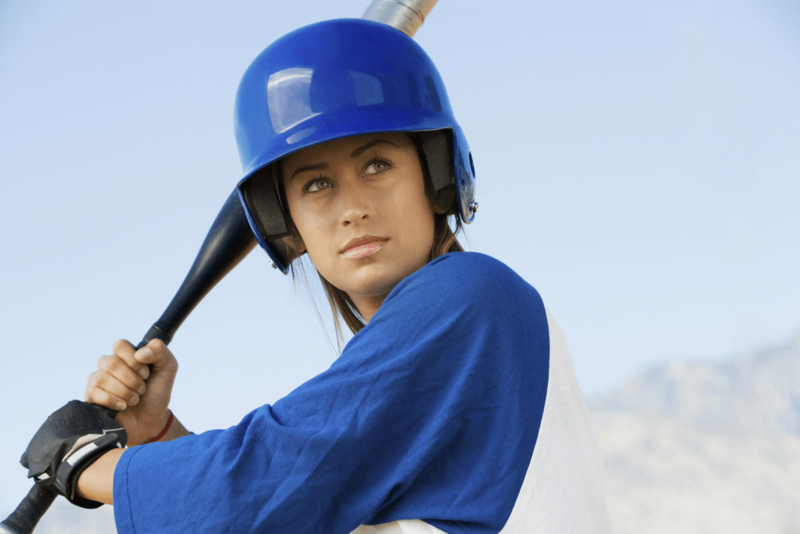 Heavy softball bats may be tough to swing but they have an admirable pop. It may be a good idea to experiment with both types before you pick the most suitable one. Once again, we have two different types here – balanced and end-loaded bats. This comes down to your preference, but there are significant differences between the types. Balanced softball bats equally distribute weight to both ends and enable improved control. On the other hand, end-loaded bats focus the majority of weight on the barrel end. This makes them great for pops, but it may take a bit more practice to learn how to use them properly. Once you do, you will have a bat of great power in your hands. 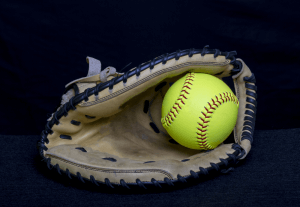 When it comes to materials used to design softball bats, you will mostly encounter composite components, such as a mixture of graphite and carbon fibers. While they offer an excellent pop, their durability is somewhat limited and depends on how often you play. You can also go with alloy softball bats. These last longer, but there is that feeling of stiffness when ball contact is made. Players can also pick a mixture of alloy and composite materials, which delivers a durable bat that you can rely on. Finally, there is the option to pick wooden softball bats, which are mostly made from maple or bamboo. Although they are durable and strong, keep in mind that there are only particular leagues that allow these types of bats. This is the final factor to take into consideration. There are two options at your disposal – a single-piece and two-piece bats. The former will have a sort of stiff feeling when contacting the ball and may be suitable for those that have a somewhat slow swing. On the other hand, fast swingers will get the most out of a two-piece bat due to the flex in the place where the handle and barrel attach. This enables to generate that extra pop and improves your performance. There are three different weight options for this item – 26, 27, and 28 ounces while the length remains the same – 34 inches. This means you get to choose based on your preference – go with a light version if you do not have a tough swing and choose the heaviest option if your hitting power is admirable. Worth 2018 Ryan Harvey Legit XL USSSA Slowpitch Bat is a two-piece item completely made out of carbon fiber. The manufacturer claims that the goal was to optimize flex and swing weight. It is an end-loaded bat with an additional half-ounce load for extra weighing options. The 220 Advantage features should enable a large sweet spot and contribute to improved performance, but also increase the longevity of the bat. Just in case, the manufacturer also offers a 1-year warranty. The barrel length is set at 13.5 inches and the diameter is 2.25 inches. 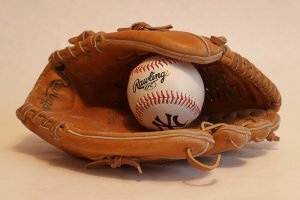 The product is designed in the United States and has several certifications, including ISA, NSA, and USSSA. Easton 2017 Brett Helmer Loaded Slowpitch Bat is approved by ASA and you can freely use it in their leagues. The item is only available in a single size – the combination of 34-inch length and 28.5 ounces weight. This indicates that it is a fairly heavy bat, but still not too heavy that you can’t control it if you prefer light versions. The bat from this series was used by Brett Helmer in 2017 when he set a new home run record in the USSSA World Series. The barrel is 12 inches long while the product utilizes thermo-composite technology and is a two-piece bat. The FLEX barrel is also an important feature as it enables additional compression which might enhance the feel and improve your performance thanks to providing additional pop. The manufacturer offers a one-year warranty on this end-loaded bat. DeMarini 2018 Flipper OG Slow Pitch Softball Bat is a new model of the bat designed by the same manufacturer that had amazing success. It is approved by ASA and suitable for their competitions. The has a 13-inch barrel and utilize the divergence technology that claims to enable an extremely responsive sweet spot. Although it is a composite bat, its handle is made of znx alloy, which has solid durability and stiffness. Thanks to this, there is not as much flex, which leads to the increased deflection of the barrel for its improved performance. You will notice that the bat features a two-piece design and is made in the USA. When it comes to weight distribution, this is considered a balanced bat. The warranty provided for the bat is 12 months, and you may choose between three different weights – 26, 27, and 28 ounces. 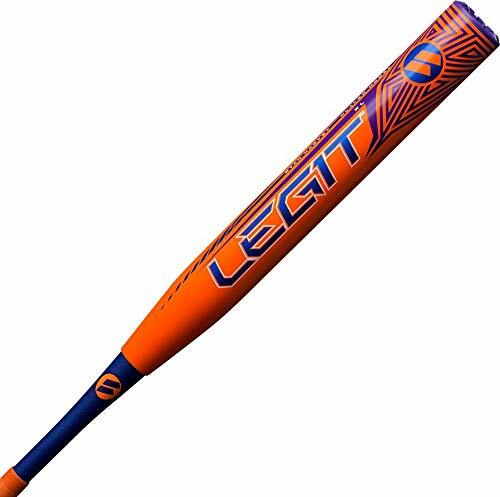 This bat is somewhat different than the others because it offers an extra weight option of 25 ounces. It means that you can go with an extremely lightweight bat if you are a fan of those. Aside from that, the standard weights from 26 to 28 ounces are also available. The barrel length of the Miken 2018 Psycho Maxload USSSA Slow Pitch Softball Bat is 14 inches while its diameter is 2 ¼ inches. These specifications make it suitable for ISA, NSA, and USSSA competitions. 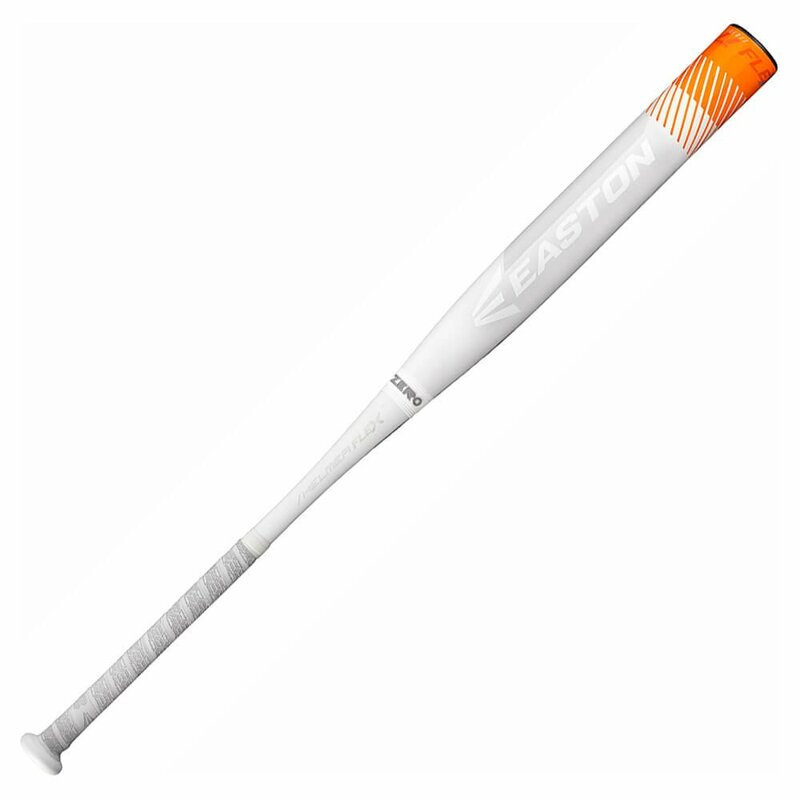 It is worth noting that the bat has an attractive design that combines orange and black colors. The bat is made of composite materials and features a one-piece design that claims to provide extreme distances for the hitter. Carbon fibers were used to design the bat, and the manufacturer emphasizes the durability comes by using the material that is aerospace-grade. The product might perform well right out of the box due to its tough epoxy high-pressure infusion at 750 PSI. 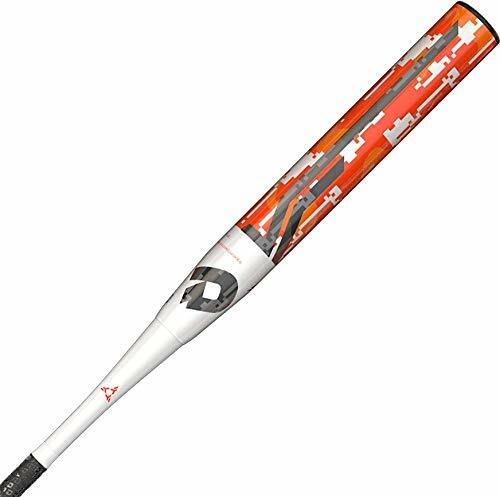 Louisville Slugger Solo Z 16 USSSA Power Load Slow Pitch Bat is manufactured in three different sizes – 26.5, 27.5, and 28.5 ounces. 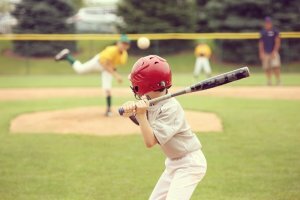 When it comes to competitions you can participate in, the leagues approved include ISA, NSA, and USSSA. The bat is constructed of 100% composite material and it features a one-piece design. The diameter of the barrel is set at 2 ¼ inches while the friction blast may help you get that extra distance you’ve been wanting. There is no doubt that Louisville Slugger Solo Z looks beautiful – sleek black design with an addition of orange and a gloss finish are an excellent combination. Finally, keep in mind that this is an end-load bat, which may be suitable only for particular types of hitters. The time has come to pronounce a winner of our slowpitch softball bat reviews, and it is undoubtedly Worth 2018 Ryan Harvey Legit XL USSSA Slowpitch Bat. It has multiple certifications, which makes it suitable for several different leagues. The moment you take it out of the box, you notice its amazing design and attractive color combination. Once you take it to the field, it delivers a large sweet spot thanks to the 13.5 inches barrel length, which makes it suitable for newbies that want to take their performance to the next level. This two-piece bat is available in three different weight options, and you shouldn’t neglect the extra half-ounce load that gives you additional weighing alternatives. Combined with the carbon fiber material, this enables an excellent pop and contributes to your performance. At the end of the day, the ideal combination of swing weight and flex makes this one of the best slowpitch softball bats for all players out there.